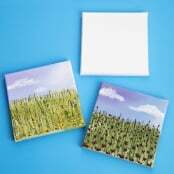 Crafty Crocodiles presents this huge section of Painting Essentials products for the whole family. 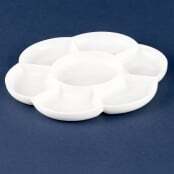 In this Painting Essentials Department you will find craft accessories for children and adults. 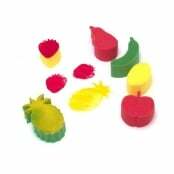 We have everything from Paint Brush Pack to Water Pots with Lid. Take a look at our fabulous selection of Painting Essentials, there really is something for everyone. 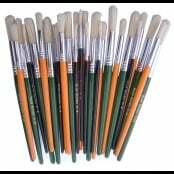 Start of your painting journey with our Synthetic Paint Brush Set. 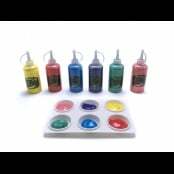 Some of the crafts available at Crafty Crocodiles: Junior Painting Class Pack, Set of 5 Splash Mats, Large Powder Paint Pots, Children Play Aprons, Large Non Spill Water Pot, Junior Artist Oil Pastels and lots more.